Love is in the Details. This was the mantra of Madame Beatrice Alexander when she began her doll business in 1923. Now, as the iconic Alexander Doll Company celebrates its 90th Anniversary with a special unveiling of their exciting new mid-town location on April 30th, love is still in the details. The craftsmanship that made the Alexander Doll Company famous is still evident today, even as the company pursues creative new branding, licensing and marketing opportunities. The company has grown to include collectibles, play and baby dolls for girls of all ages! 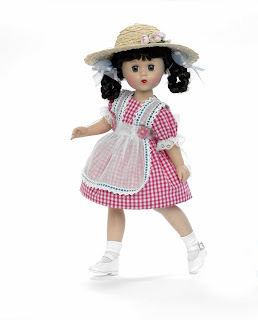 For this 90th Anniversary, the Collectible category takes on special significance with an assortment of six unique dolls to commemorate the company's extraordinary 90 year history. Re-introductions of classic sculpts and characters included in this collection are a gorgeous 21” Cissy™ in a beautifully beaded dress, inspired by a photograph of Madame Alexander from 1923, an 8” Wendy™ with a Tony Sarg inspired marionette theater, a classic McGuffey Ana™, and those favorites Wendy™ (8”) and Cissy™ (10”) both dressed coiffed to the nines to commemorate the anniversary. Of course, each doll arrives beautifully boxed with a commemorative hang tag and Certificate of Authenticity. Madame Alexander continues the celebration with dolls marking the 75th Anniversary of two iconic movies, The Wizard of Oz™ and Gone With the Wind™, which were among the company's first and longest continuous licenses. Each and every year since 1938, new designs have been added to these special collections, and this year is no exception. Three very unusual ”must-have” doll sets for any Wizard of Oz™ collector include, a 10” Wicked Witch of the Witch™ and three 5” Winged Monkeys, a 10” Glinda the Good Witch™ and three 5” girls of the Lullaby League and a 10” Dorothy™ with three 5” “poppy” dolls. For Gone With the Wind's™ 75th Anniversary, the company has created a breathtaking 21” Scarlett O’Hara™ resplendent in her white ruffled Prayer Dress. Always one step ahead in creative doll design, Alexander Doll has responded to the concerns of modern parents relating to toy hygiene by developing a new category – WASHABLE DOLLS. Machine washable and dryable this collection includes the Wizard of Oz™ gang, Fancy Nancy™, Pinkalicious™ and Angelina Ballerina™. Alexander Doll's very popular 18” soft cloth play dolls include several new additions, such as Bedtime Angelina™, Fancy Nancy and Marabelle™ and Swan Lake Angelina™. For 2013, Alexander Doll introduces a brand new facial sculpt on their Favorite Friends ™line of 18” vinyl play dolls. Favorite Friends™ feature rooted hair, sleep eyes a soft cloth body, five-way jointing, and stylish outfits. Separate outfits are sold and fit most 18” play dolls in the market. In addition, the Dollie & Me™ brand of 18” dolls complements an apparel collection of little girl dresses sold with matching doll dresses. Baby dolls have been an integral part of the Alexander Doll Company since the 1930’s. Dolls range from “My First Baby”™ with painted eyes and hair to “Newborn Nursery”™, lifelike baby dolls with rooted hair, sleep eyes, and a selection of accessories and outfits. 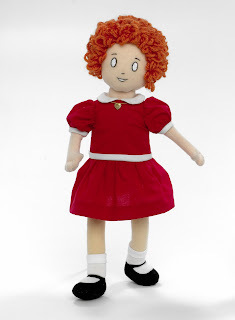 Madame Beatrice Alexander initiated a series of firsts in the toy industry: the first doll based on a licensed character (Scarlett O’Hara™ from Gone With the Wind™); the first to bring feature baby dolls to market; the first to create dolls in honor of living people (Queen Elizabeth, the Dionne Quints). 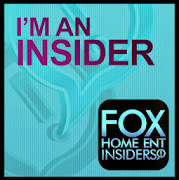 Madame Alexander was also the first to introduce the first full figured fashion doll (Cissy) with haute couture outfits. For these past nine decades, Madame Alexander dolls have captured the imagination and passion of countless generations of doll lovers and collectors including such well-known present-day fans as Demi Moore, Cindy Crawford, Barbra Streisand, Oprah Winfrey, Britney Spears, Candy and Tori Spelling, Cathy and Paris Hilton, Dakota and Elle Fanning, Suri Cruise, Jennie Garth and Courtney Cox. The history of the Alexander Doll Company is a great story that follows its growth from a small doll company to one of today’s most important and exclusive brands in the girls’ sector, considered to be an authority on dolls, children’s health and educational play and interaction. Today owned by Kahn Lucas Lancaster, Inc., a leading global designer and wholesaler of branded girls’ dresses and fashion collections. About Alexander Doll Company® (www.madanealexander.com) Alexander Doll Company, founded in 1923 by Beatrice Alexander, designs, manufactures and sells a wide range of dolls - collectible, fashion, baby and play, as well as related accessories. In addition to their own brands, Madame Alexander™ and Middleton Doll Newborn Nursey™, the company holds numerous licenses including, but not limited to Disney®, Wizard of Oz™, Gone with the Wind™, Fancy Nancy™, Pinkalicious™, Angelina Ballerina™, Eloise™, Pan Am and American Ballet Theatre™. Through the years, Alexander Doll has been responsible for numerous doll industry “firsts” that have defined the company as pioneer of style and quality as well as shaped the doll world. In 2012, intellectual property and select assets of Alexander Doll were acquired by Kahn Lucas.